The mission of Severna Park Soccer is to provide the youth of our community with a rich soccer experience that is educational, fun and safe, and promotes a life-long love, and respect, for the game. The Greater Severna Park Athletic Association (GSPAA), known as Green Hornets, is a non-profit organization established in 1949. Its operating principles rely on volunteerism, from coaching to support and administration activities. We succeed in providing the youth of our community with a rich soccer experience that is educational, fun and safe, and promotes a life-long love, and respect, for the game. The various programs are intended to encourage and challenge our children to learn and improve, providing opportunities for every level of ability, interest and commitment. Through important character attributes such as sacrifice, dedication and commitment, we believe that Green Hornets soccer provides essential life skills that contribute to each child being able to achieve his or her full potential. Soccer has the largest participation of all sports offered by Green Hornets. This past fall, our Development program introduced soccer to nearly 500 four, five and six year olds. Our Club program fielded more than 60 teams and provided a great recreational soccer experience to more than 1100 children from ages seven through seventeen. And the Select program fields over 40 teams involving almost 600 players, including 20 teams in NCSL and WAGS, several teams in EDP and Region 1 leagues. And over the past 3 years we have had 3 teams reach the Semi-Finals in State Cup, and 3 teams which played in the Championship match with one Champion. The Clinic and Club programs play during the fall season only. This is not due to lack of interest but rather to the general lack of fields which are being used by sports for which spring is the primary sport. Teams in our select program usually play both in the fall and the spring, and our NCSL and WAGS are required to by their leagues (except for high school-aged teams who wish to sit out during the high school season). In addition to playing the game, we also offer a program that teaches and develops referees. We provide opportunities to these young officials through our Club program. Recently we have introduced a spring club-wide training program open to players from Select and Club Programs. This program is intended to teach the critical technical and tactical skills, in an age-graduated fashion, that are necessary to to compete in high-level travel soccer. We also conduct specialty camps periodically for goalkeeping, finishing and athletic performance. A sports program as large as soccer depends on the hard work and dedication of many individuals. From on-field duties to administration, from coordinating leagues, schedules and tournaments to ordering uniforms, equipment and goals, from overseeing and certifying coaches to handling fundraising or dealing with local government, our volunteers make our soccer programs exceptional. 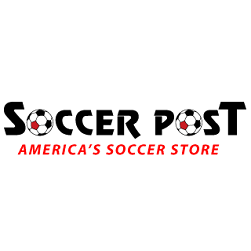 For more information on a specific program or aspect of Severna Park soccer, please use the links provided or search the site for key words or phrases with the Search function in the footer below. And be sure to read about all the club's soccer achievements at Soccer Achievements. On behalf of Severna Park Soccer, I hope you will take advantage of the best value in youth soccer - costs, quality of instruction and facilities, and competitive opportunities - you can find, and consider becoming involved in some capacity. Severna Park Soccer is the largest youth soccer organization in Anne Arundel County, and among the Top 10 in Maryland, according to MSYSA registration numbers. For fall 2009, we have 2000 children in our various programs - Clinic, Club and Select (Travel). Soccer is also the largest sports program in GSPAA. For the calendar year 2009 - 2010, we have 600 players in our Select Program. We typically field 40 to 50 Select teams, over 20 of which play in WAGS and NCSL, which U.S. Youth Soccer routinely considers among the elite girls and boys leagues in the nation. No club in Anne Arundel County fields more travel teams or more teams in WAGS and NCSL. For a full list of our Select Teams and what they are doing, see the Girls and Boys Teams links at Select Program. Our Select coaching faculty is comprised of many former college players, current or past high school head and assistant coaches, and all hold the minimum licensing credentials (USSF "E") with some nationally certified (USSF "C" or higher). Please see the Club Achievements link for more information. As for our clinic and club coaches, GSPAA covers the costs of their "G" and "F" licensing. We are an all-volunteer club, and yet we compete extremely well with many prestigious paid-coach clubs. Most recently in State Cup competition the 2013 BU16 Fever won the state cup. In recent State Cup competition, we have had 2 teams in the Semi-Finals - 2004 GU13 Flame and 2007 BU14 Elite - and 2 other teams in the Finals - 2006 GU12 Dynamites and 2009 GU13 Kickers. And like many high-performing clubs, the number of Championship and Finalist awards won in high-caliber tournament play is in the dozens. To see a complete list of club accomplisments, players and teams, see Club Achievements. Our Clinic Program has nearly 400 children in the U4 thorugh U6 age groups. This is a player development program follows a comprehensive, technically-graduated program which introduces and reinforces the essential age-appropriate soccer skills. For more information on the Clinic Program, see Clinic Program. Our Club Program fields some 100 teams involving nearly 1,000 players from U7 through U17. This program is the single largest program in Severna Park Soccer and provides each child with the opportunity for a life-long love of the game. The emphasis of this program is on fun while instilling the values of commitment, teamwork and self-improvement. For more information on our Club Program, see Club Program. We also have the lowest fees and total costs of any club in Anne Arundel County. Our fees are from $55 for clinic to $130 for regional level select soccer, and with a once-per-year family fee of $75. In addition, our facilities are outstanding, from the premier grass fields at our Kinder Complex to the turf and Bermuda grass fields at Severna Park High School. Please take some time to learn about Severna Park Soccer by using the links on the website. When you consider the costs, quality of our coaching, training and competitive opportunities, our fields and venues, and the success of our teams and players, Severna Park Soccer is the best youth soccer deal there is. Please consider becoming part of this exceptional organization.